Guerilla gardeners have a new weapon of mass resurrection at their disposal: the seed-bomb bracelet, an earthy piece of wrist candy featuring bloomable orbs of clay, compost, and wildflower mix. Individually handcrafted in Dumbo in Brooklyn, the limited-edition accessory is a collaboration between clothing retailer Brooklyn Industries and Greenaid, a social enterprise that focuses on urban ecology and adaptive reuse. Each bracelet holds three “seed beads” on a length of twine, ready for torpedoing into an abandoned lot, barren sidewalk, or other concrete wasteland in need of Ma Nature’s verdant touch. Also launching in time for Earth Day is Brooklyn Industries’ seed dress, which comprises locally sourced organic-cotton voile. 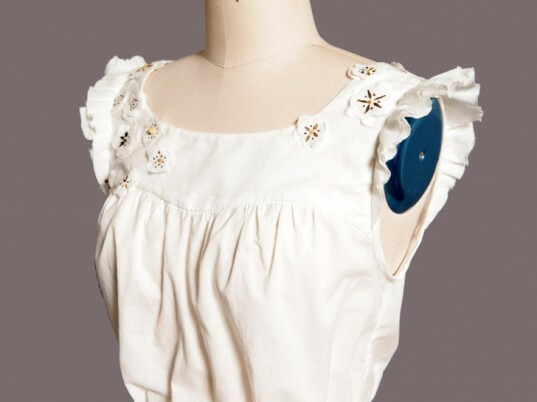 Because it features a variety of seed-based embellishments in lieu of metal zippers or plastic buttons, the vintage-inspired frock is completely biodegradable when buried underground. The seed dress has no metal or plastic components, allowing it to biodegrade completely once underground. 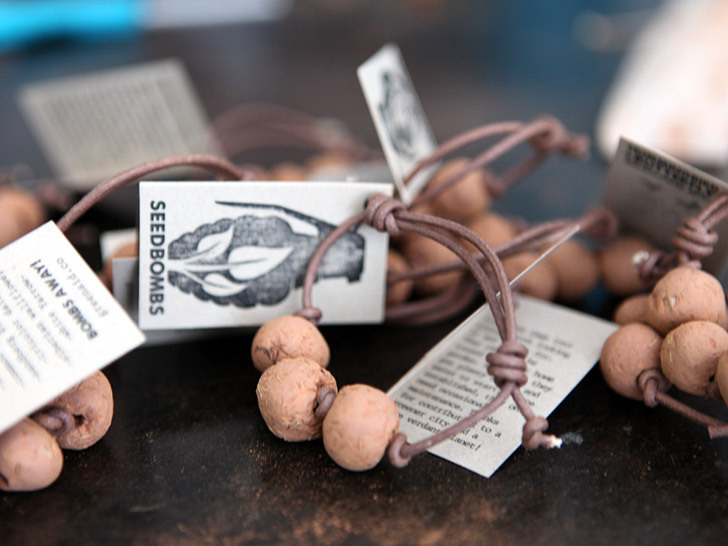 The seed-bomb bracelet and seed dress, along with Brooklyn Industries’ new seed-bead vending machines, will be on display at the retailer’s Union Square, Smith Street, and Park Slope stores in New York City. Guerilla gardeners have a new weapon of mass resurrection at their disposal: the seed-bomb bracelet, an earthy piece of wrist candy featuring bloomable orbs of clay, compost, and wildflower mix. Individually handcrafted in Dumbo in Brooklyn, the limited-edition accessory is a collaboration between clothing retailer Brooklyn Industries and Greenaid, a social enterprise that focuses on urban ecology and adaptive reuse. Each bracelet holds three "seed beads" on a length of twine, ready for torpedoing into an abandoned lot, barren sidewalk, or other concrete wasteland in need of Ma Nature's verdant touch.